I have moved to Tenerife two months ago and I absolutely love it. I am surfing every day and it is time to share the love with you guys. 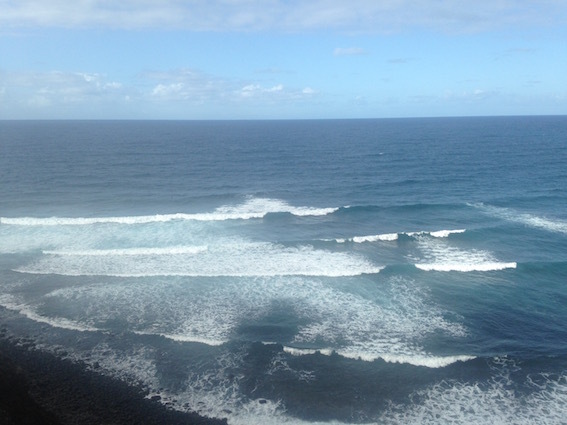 I am presenting you my favourite surf spots here in Tenerife and adding some of my experience to each of them. 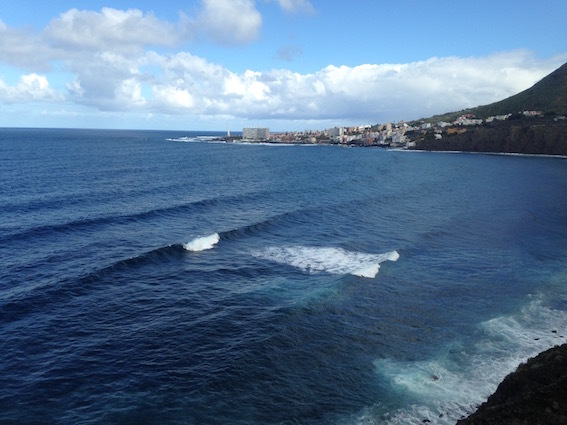 It is a surf spot in the north of Tenerife in a city called Puerto de la Cruz. It is a city beach so the access is very easy. This is the spot where most of the beginners come. The beach is sandy with rocks and stones on the bottom. The reef shoes are not necessary but can be handy on the entry if you have delicate feet. There is a surf school next to the beach. 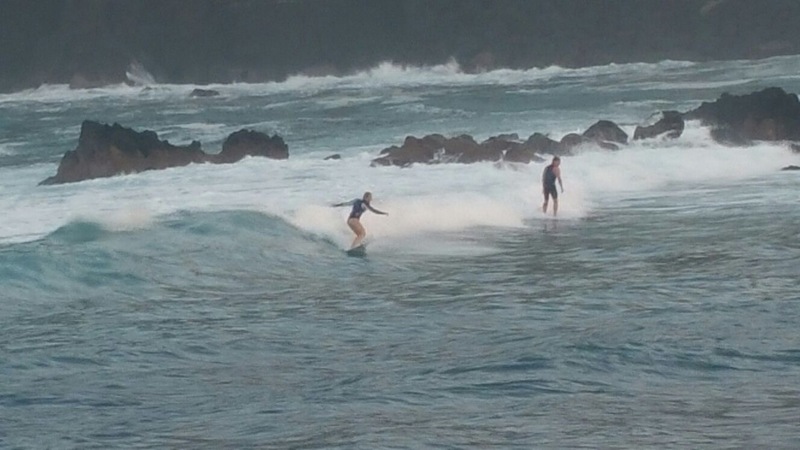 They have regular surf lessons every day (except Sunday). There are also other surf schools coming for lessons here and they seem to have a schedule. Once one school finishes a lesson, the other enters the water. This way they avoid overcrowding. Except the surf schools there are some local beginner intermediate surfers coming but they are all very relaxed. It seems like this beach does not suffer from localism. On weekends there will be a lot of local kids surfing. It is best to surf it at mid tide or mid-high range. In order to work this beach needs a big swell as it is sheltered from the main ocean by the pier. 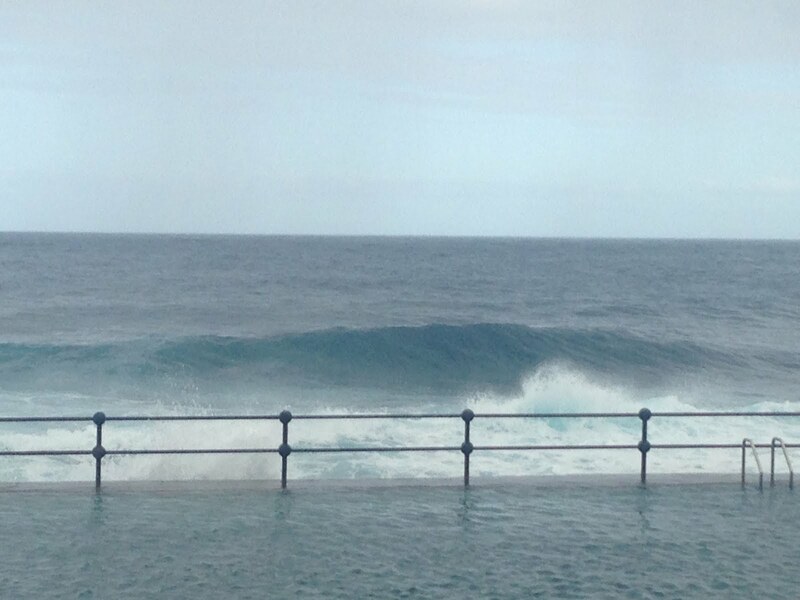 This can be only surfable option in the north Tenerife while big winter swells hit the shore. 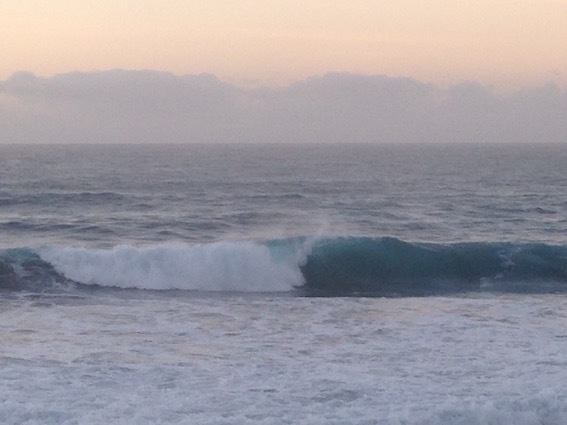 This is opposite from playa Martianez in a sense that it picks up any swell almost from any direction. It is located in the north of Tenerife near town called Los Realejos. You can access the beach from TF-5 motorway and take a small road down along banana plantations. This is a spot which you want to visit on a smaller day. The wave is very fast and sometimes closes out. There are strong currents and on bigger day it is quite hard to get out to the lineup. Its a classic beach break with some rocks scattered around. It is popular with all kind of surfers: very experienced ones that are up for fast rides and beginners as they are attracted by the fact that this is one of the rare sandy beaches in the area. It is often crowded. There is a small shop/coffee place near the beach and apparently a surf school during summer time. It seems to be a popular spot in summer. 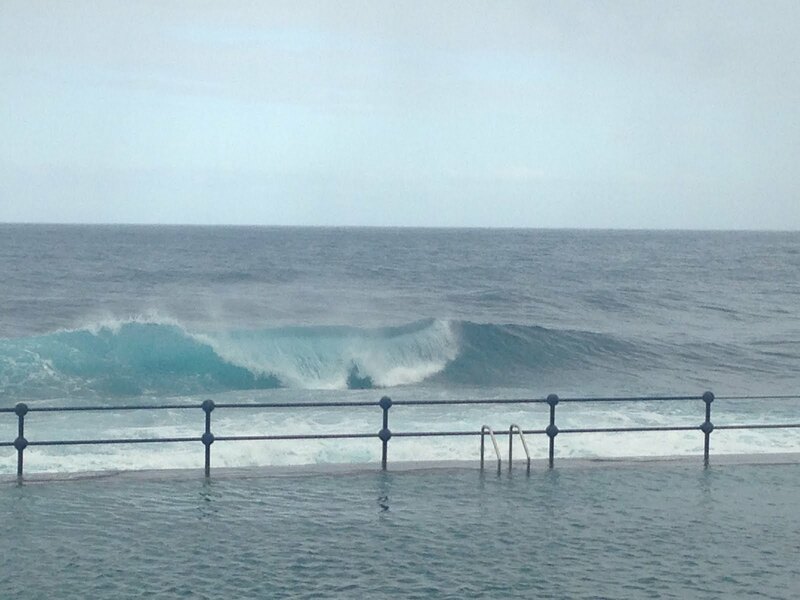 I surfed in only couple of times as it is usually massive in winter. This is my favourite spot or rather a place with multiple surf spots. It is in north of Tenerife again and in every little corner of the bay there seem to be a break. The most popular with beginner surfers is El Callado. 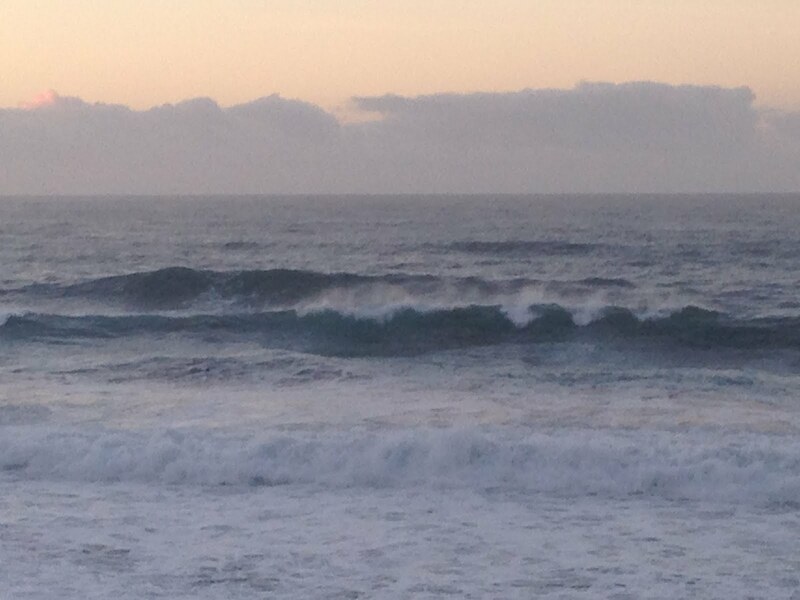 The spot is deep in the bay, so not that many waves enter it and even on bigger swells it can be surfable. 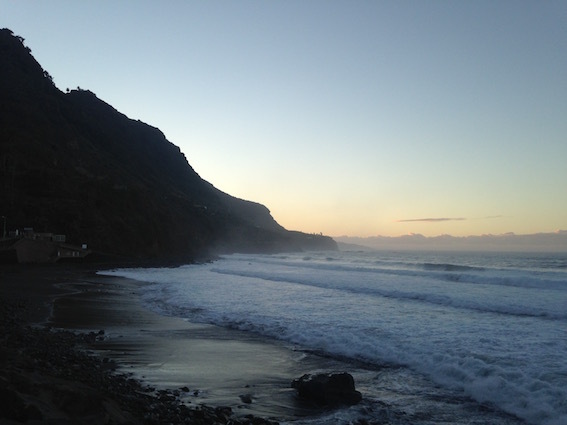 To access surf spots you have to pass town of Bajmar and there is a small path to the beach. For el Callado you have to walk on rocks along the beach maybe for 10-15 mins. This spot is the most tourist friendly and least localised. So try this the first time you go to the bay. There are a lot of other surf spots. 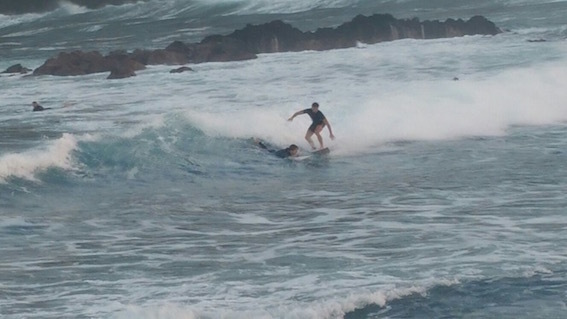 You will see people surfing almost everywhere, but it will be mostly locals. On a bigger and glassy day the surf spots connect and create a never ending left. 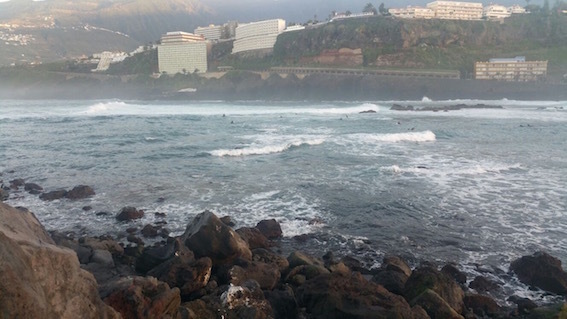 There is a surf school in town of Bajamar. Finally we are moving to the south of Tenerife or rather west south. 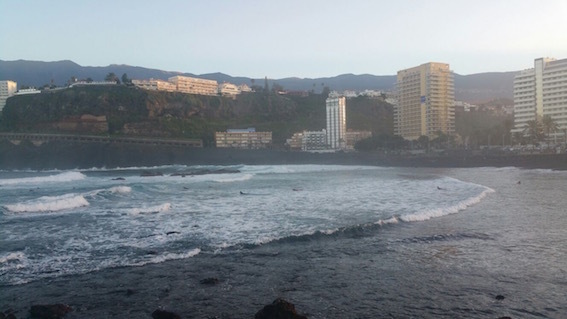 There is a spot called el Medio located on the main beach of Playa de las Americas (just in front of two surf schools on the beach). I call it a foamie land, as every time I visited there was at least 30 people learning of foam boards. It is relatively safe on the small days which seem to be the case quite often. The beach is sandy but as soon as you access water there is a sharp reef, so reef shoes recommended. It needs swell from south to work or massive swell from west-north that warps around. If you walk down the beach there are more surf spots in 500m radius. 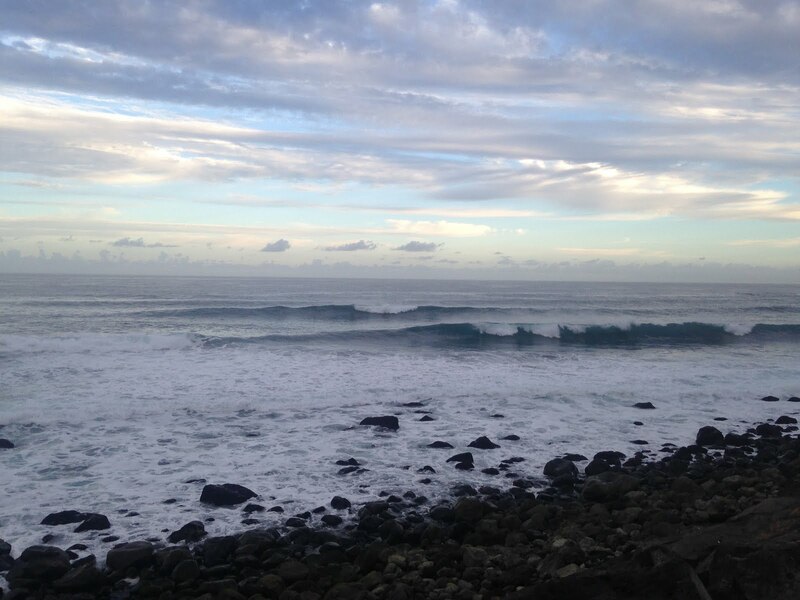 The other surf spots are more advanced and are more localised. This is also the place of famous Spanish Left. It is quite shallow though, probably not a beginner spot.